Neill-Wycik Backpackers Hotel is open during the summer months from May-August. Our rooms are arranged in apartment-style units with private single rooms and dorm rooms sharing two washrooms and a kitchen as well as a lounge area. During the year the building is a student residence and for the summer we open our doors to tourist looking for affordable accommodations in downtown Toronto. 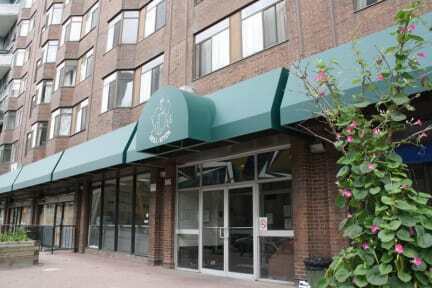 We are located in the heart of downtown Toronto; 8 minutes walk from Yonge-Dundas Square and the Eaton Centre. 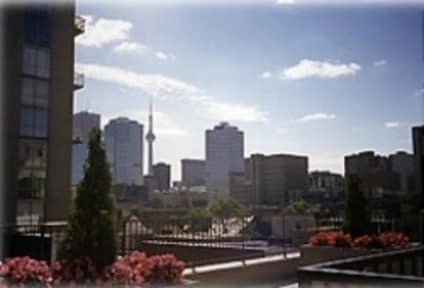 Neill-Wycik is centrally located, and an ideal base to visit all of the Toronto tourist spots. Every guest receives continental breakfast with their stay. The cafe is open daily from 7:00AM to 11:00AM . -Discount tickets for City Site Seeing Toronto along with day tours to Niagara Falls. -Free Wi-Fi is available in public areas on the 22nd floor Hanke Lounge and in the cafe. -Events throughout the summer - pub crawls, barbecues and more. Ask the front desk for details or email hotel.events@neill-wycik.com. -24/7 security and front desk. -Rooms include: linen, small towel, bar of soap, and plastic disposable cup. A government- issued photo ID and a valid credit card is required at check-in. Front desk agents will take photocopies of photo ID for security purposes. Reservations can be paid by Visa or MasterCard. American Express is not accepted. Guests may pay with cash but all cash transactions are non-refundable and only CAD and USD are accepted. Please note that USD is accepted at par. If someone else is booking on behalf of the guest please e-mail us to retrieve an authorization form. The authorization form must be received by management prior to arrival. Os banheiros e os quartos não estavam sempre limpos. Deixou a desejar na limpeza. Não tem wifi nos quartos, terrível isso. The staff is ok, the linen and the beds are very good, however the place itself is very dirty.. there are pieces of stuff all over the ground and the bathroom is small and dirty too. O hostel é muito bem localizado, porém as instalações são muito velhas. Não vale a pena o preço que eles cobram. O quarto parece velho demais. Não tem cozinha e nem possibilidade de fazer sua própria comida. O pior: mesmo diante do verão canadense não havia ao menos um ventilador.